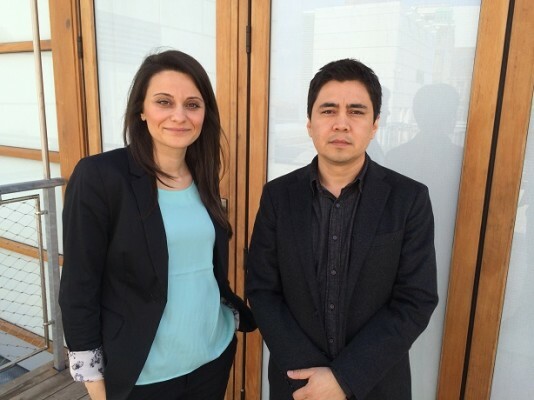 In fall 2014, we welcomed two new junior, full-time faculty members: Prof. Ahu Aydogan Akseli and Prof. Frank Melendez. Prof. Aydogan Akseli’s research focuses on building systems. She holds a B.Arch. from Uludag University, an M.Arch. and M.S. in Engineering Management from the Izmir Institute of Technology as well as an M.S. and Ph.D. in Architectural Sciences from Rensselaer Polytechnic Institute. 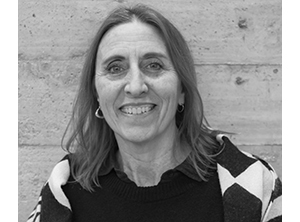 Prof. Melendez’s work deals with modes of digital design and fabrication processes. He received his B.Arch. from the University of Arizona and an M.Arch. from Yale University. I recently had the chance to sit down with them to discuss their ideas about architecture, and our conversation naturally turned to architecture’s relationship with technology. Let’s begin by discussing your research interests in greater detail. AAA: My research focuses on building integrated system technologies. In particular, I deal with green wall systems in order to clean pollutants from indoor air, connecting this system to HVAC systems and reducing the energy consumption profiles of buildings. Normally, HVAC systems bring fresh air into a building. But you need to heat or cool the outside air when bringing air indoors. By recycling and remediating the indoor air through green wall systems, you reduce energy and the outdoor intake, therefore saving energy. FM: My interest in digital technologies began while working at Frank Gehry’s office in Los Angeles and continued during my graduate education. These experiences really influenced how I thought about architecture and led to my current research in computational design, digital fabrication, and responsive systems. My interests in responsive systems focuses on the use of sensors and other nascent technologies that provide opportunities for embedding intelligence into kinetic building systems. Given your shared interest in technology, how do you define its relationship with architecture? FM: Architecture seems to evolve based on advances in technology. Technological processes in the industrial age had a profound impact on architecture, and, I believe, a similar impact can be seen today in our use of digital tools. This is critical in terms of how we design and build buildings, and advance the practice of architecture. Digital tools provide us with opportunities to design structures that are optimized for performance and integrate new methods for customizing components and assemblies. AAA: Technology is a ways of expressing your ideas and design intentions. Do you want to express your ideas in a way that reveals the system and the technology? Or do you want to hide them? Would you provide an example? AAA: Technology unfolds in different ways as my research moves from experiment to different scales of prototypes. My research starts with a single plant experiment, using different kinds of growing media. Then the plant grows to one module and then into a wall section. There is, then, a multi-scalar approach using different technologies. In 2016 or 2017, it will be integrated into Skidmore, Owings and Merrill’s Public Safety and Answering Center II in the Bronx, where everybody will have the chance to see the real prototype, integrated at the scale of the building. So building technologies impact everyday life in concrete ways? FM: To my mind, it’s about improving the quality of our lives, not only from a functional or aesthetic point of view, but also in terms of larger issues related to climate change and other environmental factors. In cities around the world—for example, Beijing or Mexico City—high pollution levels pose serious problems. The depletion of natural resources is another serious issue. Some of the studios that I have taught in the past focus on the potential for responsive systems to use environmental phenomena as real-time data that drives kinetic prototypes. These projects speculate on adaptive architectures that enhance our environment by, for example, improving air quality or gathering natural resources. This impacts our lives as well as other biotic systems. AAA: Working at the SSA and CUNY more broadly presents opportunities to collaborate with other disciplines, including engineering and the sciences. These kinds of collaborations ultimately allow us to impact society in important ways, while still working at the scale of architecture.